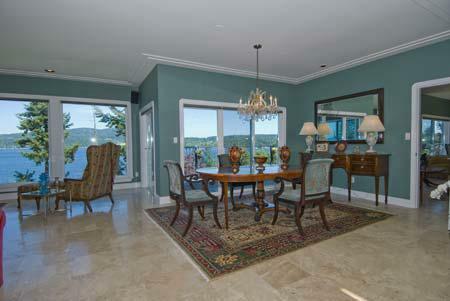 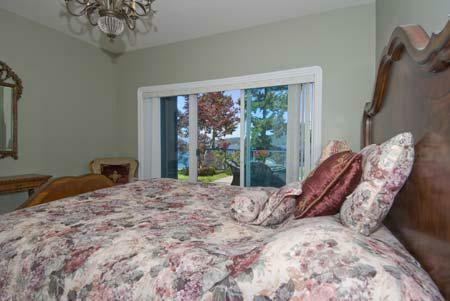 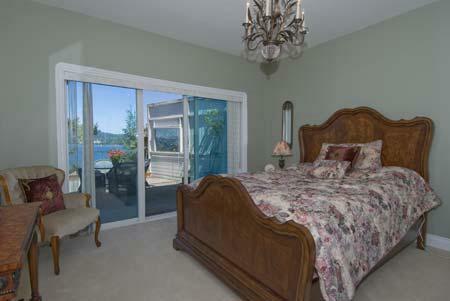 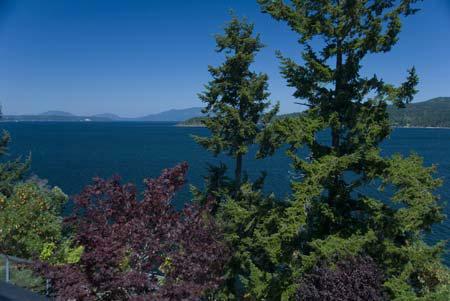 Villa Del Mar oceanfront estate is a one of a kind home located on the tip of Willis Point in Victoria BC. 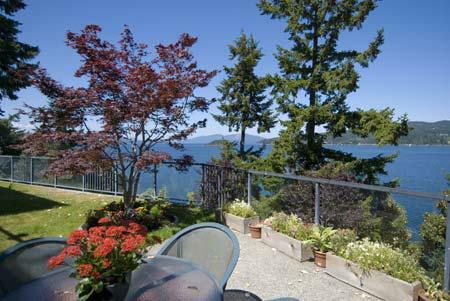 As you drive the main road to access this neighbourhood, you pass through the 1200 hectare Gowlland Todd Provincial Park which stretches from Goldstream to Brentwood Bay and the world famous Butchart Gardens, found just minutes away. 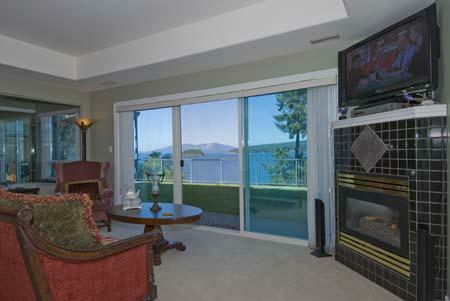 Upon entering the home you are immediately taken aback by the near 180 degree views of the Saanich Inlet through the floor to ceiling windows of the living and formal dining areas. 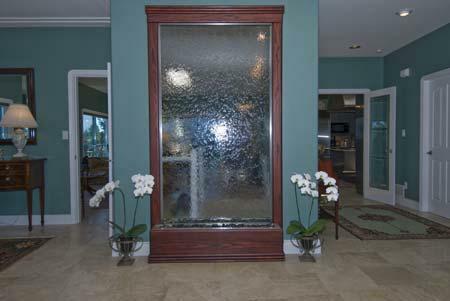 As you proceed into the room you are greeted to your right by the subtle wonderful sounds of the indoor waterfall maintaining a level of auditory relaxation for you while you are in the living areas. 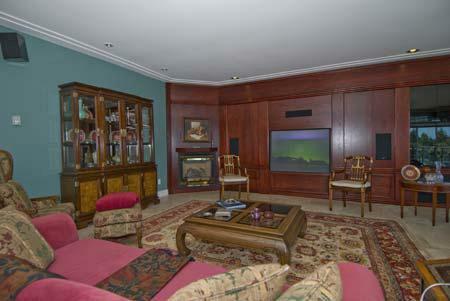 Both the living room and the media room off of the kitchen feature large wide screen and LCD TVs. 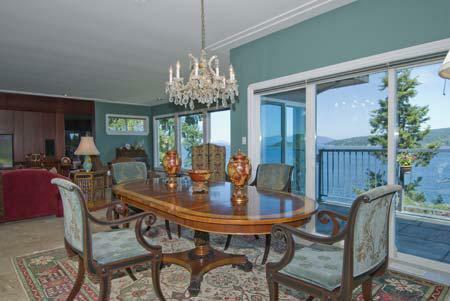 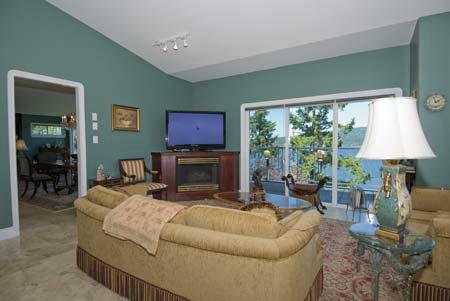 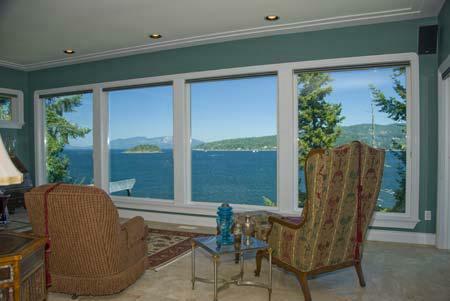 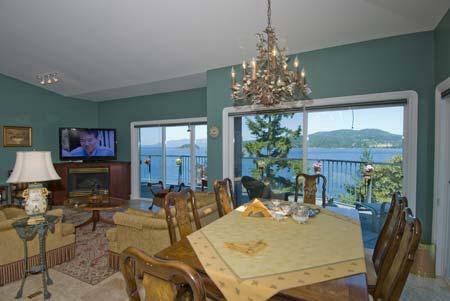 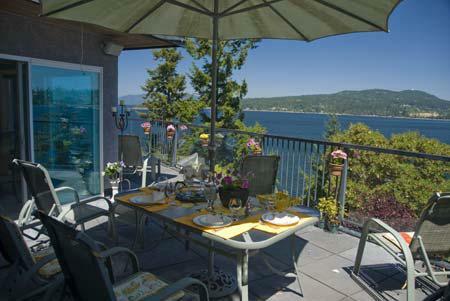 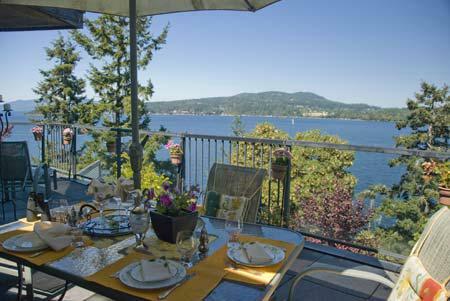 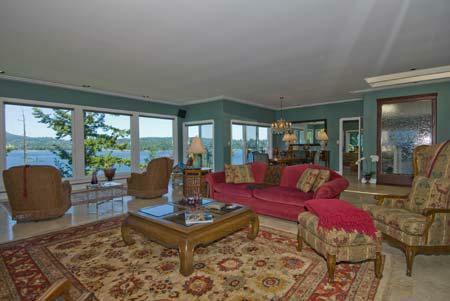 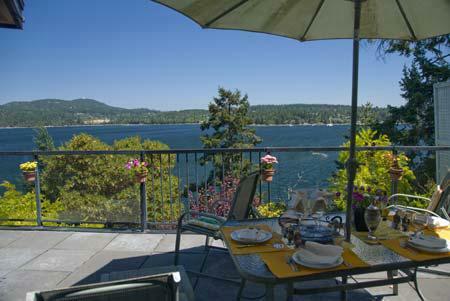 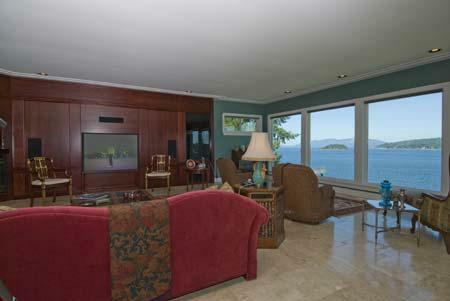 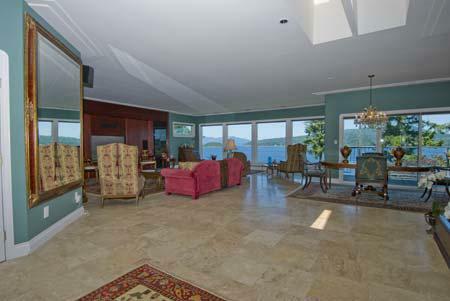 You can sit and enjoy the game while drinking in the expansive views of the Saanich Inlet. 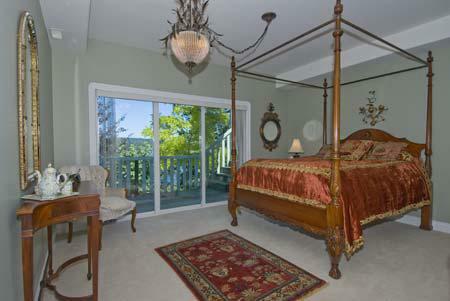 It should be noted that the furnishings of this house are of museum quality and exude luxury and comfort. 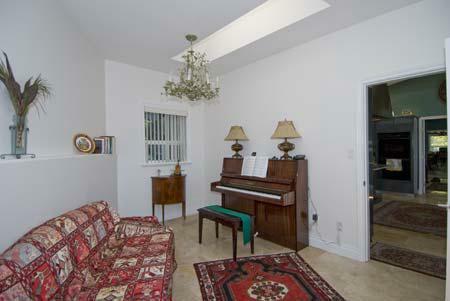 No expense was spared by the owners and the home shows this commitment to quality. 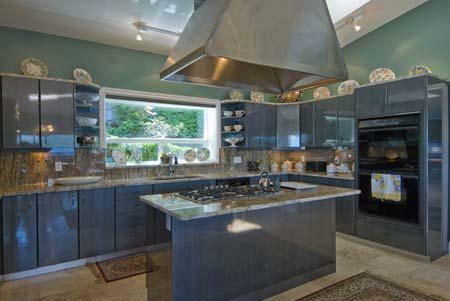 The European styled kitchen boasts everything you might need to create a culinary masterpiece. 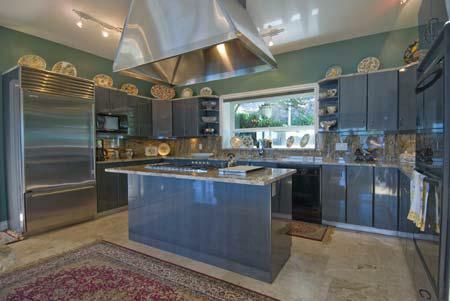 The high end quality of the home continues here with the stainless steel appliances and the granite counter tops. 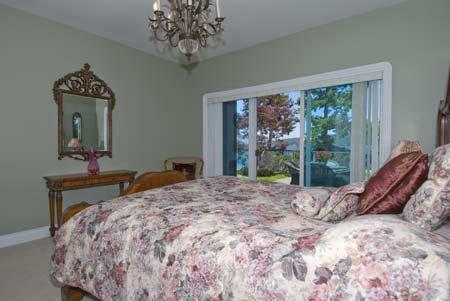 Downstairs you will find the sleeping areas of this home. 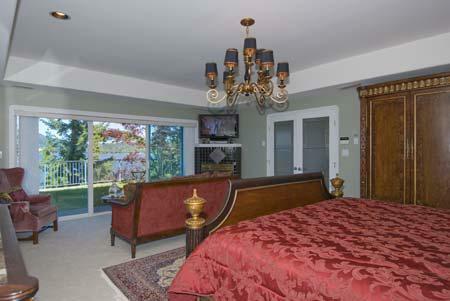 The master bedroom suite features a sitting area, a wall mounted TV, a fire place and the master bathroom. 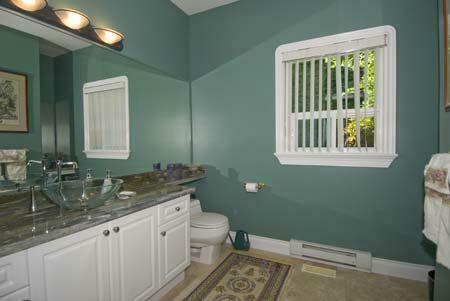 This bathroom is quite unique. 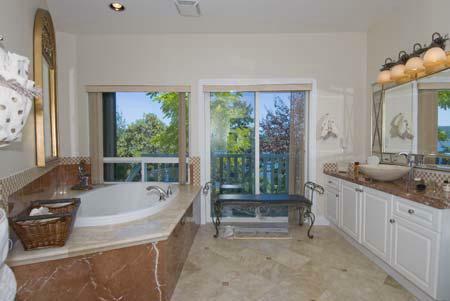 Note it has both a large bathtub and a large walk in shower. 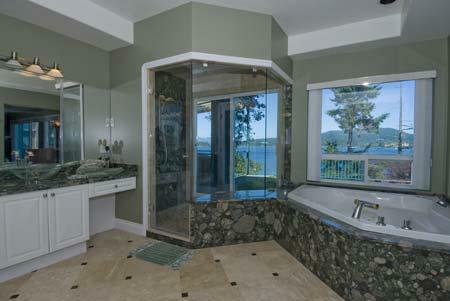 Inside this shower is a sliding glass door to the outside. 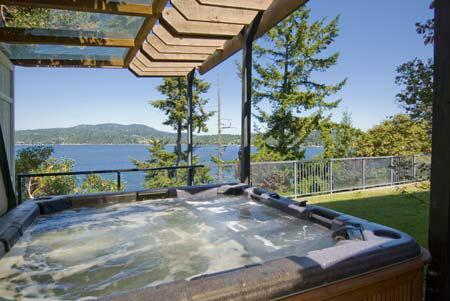 This allows you to enjoy yourself in the hot tub on the private garden level and then step directly from the outside, through the sliding door, into the shower without having to go through the master suite with wet feet. 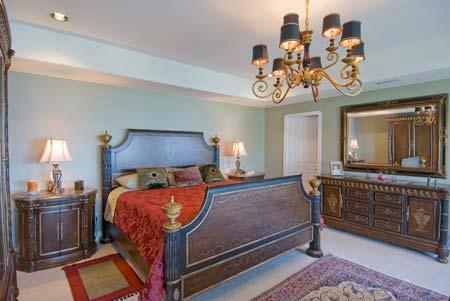 Again, the furnishings in the master and secondary bedrooms are of a higher caliber and should be considered of the highest quality. 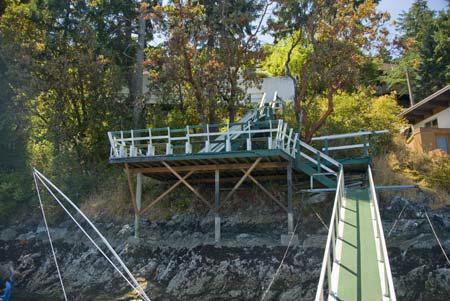 This home also features many decks on many levels, one of which is right on the ocean with the main access to the boat dock. 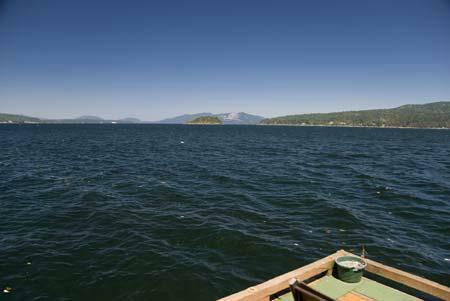 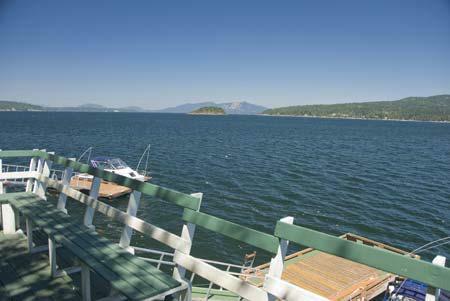 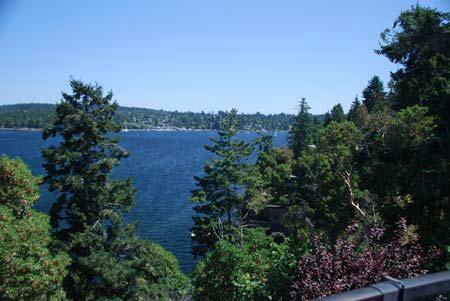 This is an excellent place to entertain, right on the water, or to use as a staging area for your boating activities. 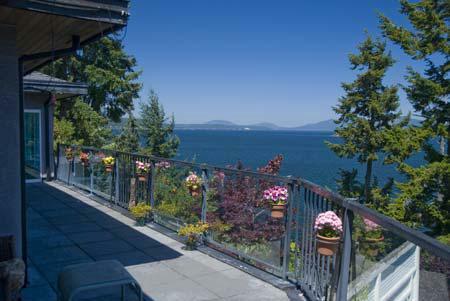 Villa Del Mar is one of the very finest properties for rent on Southern Vancouver Island and should not be missed as a choice for excellent luxury accommodations in Victoria BC. 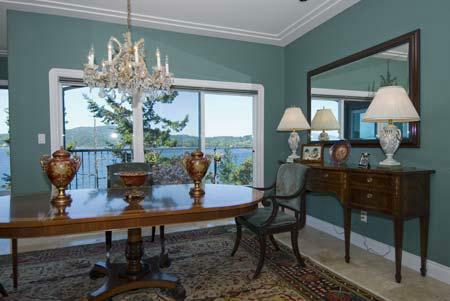 Hideabed located in the Office room.